Here's an easy Coeur a la Creme recipe for the perfect St. Valentine's Day dessert or to make someone special in your life feel extra special. 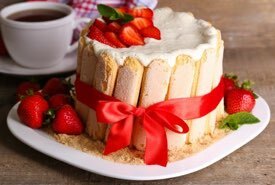 Essentially, it's a no-bake, cheesecake without a crust that's formed in a heart-shaped mold and served surrounded by red strawberries or raspberries. 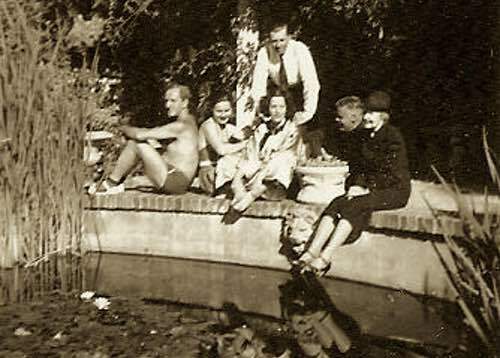 I recently found this Coeur à la Crème recipe for making a favorite dessert of a relative of mine, Berenice Harley Korshet. She lived in San Francisco, was a freelance reporter, and she loved to cook! Press cottage cheese through a wire strainer and blend thoroughly with softened cream cheese. Add sour cream. Add sugar, almond extract, and vanilla. Beat thoroughly. Pack mixture into a cheesecloth lined heart-shaped Coeur a la Creme mold. Refrigerate for at least 2 hours, or more, allowing liquid to drain out through the perforated mold. 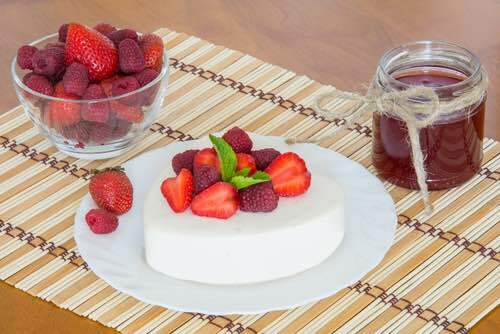 Unmold on a small platter or cake dish, surround with sugared strawberries. Coeur à la Crème, sometimes called the bleeding heart, is traditionally served surrounded by a red strawberry or raspberry sauce, though is also delicious when served topped with fresh berries. This French cheesecake-like dessert is traditionally made using a perforated, heart-shaped mold made of porcelain, but if you don't have one available, a kitchen colander or wire sieve lined with a double layer of cheesecloth will also work okay. To remove the cheesecake from the mold, place a plate on top of the mold and carefully turn it upside down. Gently lift off the mold and peel away the cheesecloth to reveal the heart shaped dessert. 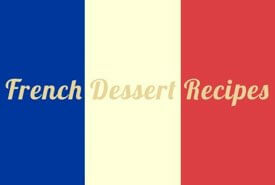 If you loved the coeur a la creme recipe, you might be interested in this little cookbook. 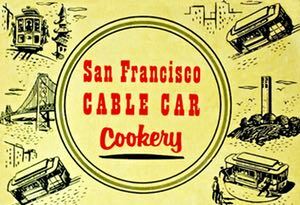 "San Francisco Cable Car Cookery: A Culinary Cavalcade of the City That Knows How" was self published by Berenice Harley Korshet back in 1957. The U.S. Library of Congress catalog of copyright entries records it Copyright by Berenice Harley, 5 Dec 57. Sadly, it is now out of print, but watch at AbeBooks.com, and you might find a used copy.